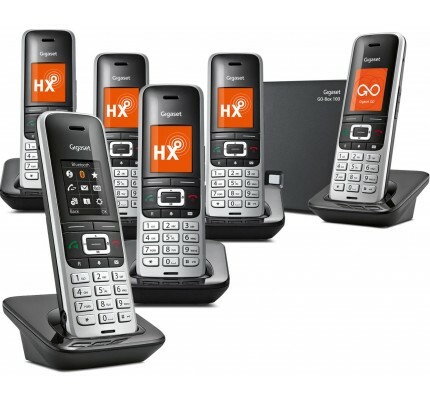 Stylish and professional, the Gigaset S790 Sextet provides excellent hands-free functions thanks to a powerful speakerphone, compatibility with corded headsets and a large, brightly backlit colour display. Offering everything that you need to stay connected, it benefits from an impressive phonebook memory, data synchronization via mini-USB and a user-friendly interface characterized by large typefaces and intuitive menus and icons. Whether you're chatting with friends or colleagues, hands-free functionality provides a far greater degree of comfort for those longer conversations, and in this department, the Gigaset S790 certainly doesn't disappoint. In addition to the high quality speakerphone, the handset is also equipped with a 2.5mm headset jack for connecting any standard corded headset. Additionally, you can easily change the volume using the keys on the side of the handset. Fitting in perfectly with the style-conscious modern office or home, the Gigaset S790 and its base station feature elegant, streamlined designs constructed from only the highest quality materials. The keypad is both durable and ergonomic too thanks to galvanised metal keys, while the colour TFT display provides clear visibility regardless of the ambient light. The phone is also supported by a modern and user-friendly interface that sports impressive attention to detail. The Gigaset S790 supports the widely supported vCard format for electronic business cards, allowing you to store up to 500 contacts complete with multiple phone numbers, email addresses and other contact details. The phone also displays your call history, including times and dates, and the possibility to redial missed calls quickly and efficiently, and for the numbers you call most often, you can use the nine shortcut keys for speed dialling. 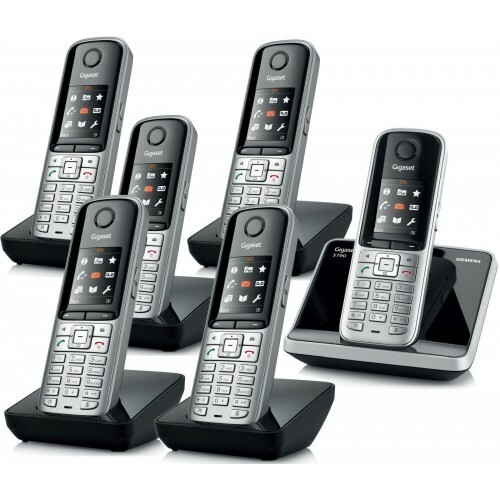 Ideal for modern homes and offices; the Gigsaet S790 Sextet is a set of 6 cordless phones that provide both comfort and convenience.